Penn State Extension-Centre County provides this blog as a source of information to the central Pennsylvania forestry community. 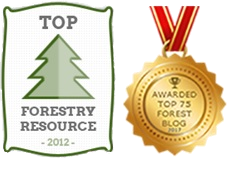 Updates and news items on forestry related subjects are posted regularly. 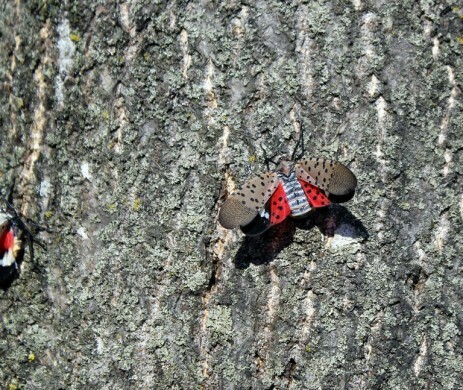 The forest products industry in Pennsylvania is committed to doing everything possible to minimize the threat and reduce the risk of spreading Spotted Lanternfly (SLF). To that end, all members of the forest products industry in Pennsylvania are strongly encouraged to voluntarily comply with the following best management practices (BMPs), within and outside the quarantine areas. Note: These BMP recommendations will no doubt be modified and adapted as more information is learned and conditions change. 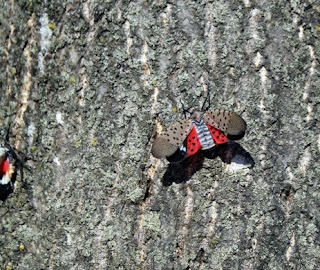 It is important to have all employees trained to identify Spotted Lanternfly (egg masses, nymphs and adults), remove egg masses, and in processes to minimize the movement of living insects during the summer and fall. Employees should be trained to watch for signs at the company but also their homes and other job sites. Companies may contact Penn State Extension, the PA Hardwoods Development Council, Regional Hardwood Utilization Groups, DCNR Bureau of Forestry, County Conservation Districts, and the PA Department of Agriculture to request available staff to assist in training employees in the forest products industry. · Monitor information about SLF in your county and neighboring counties, especially if your property is in the quarantine area. · Learn to identify SLF and egg masses and watch for potential egg masses on smooth bark trees, rusty metal, outdoor furniture and covers, recreational vehicles, lawn tractor and mowers, mower decks, grills and covers, tarps, mobile homes, tile, stone, siding, pool liners and covers, play equipment, deck boards, or anything stored outside, etc. If found, remove all egg masses if possible. · If you are in a quarantine county, do not move firewood off your property unless you check each piece of firewood for egg masses. Do not move firewood (or anything) from properties with active high populations. The risk of moving adults is too great. · Remove female Ailanthus trees from property using herbicide treatments. See control recommendations in this fact sheet. They are easy to identify in the late summer when the seed clusters can be easily seen clinging to the female trees. These trees are generally located along the tree line of forested areas or highway right of ways where the soil has been disturbed. · Monitor male Ailanthus trees for early signs of SLF. Treatment information for herbicide and insecticide applications may also be found here. · You may want to band Ailanthus trees or other high risk trees (Maple, Walnut, Apple) with adhesive tree bands – May to August. This will also help in identifying if SLF is present, and can kill all walking life stages in infested areas. · Park in areas away from the tree line if possible and always leave windows up. Kill any SLF that you find in your car before leaving the area. · Monitor information about SLF in your work areas, especially if your clients are in the quarantine zone. · Learn to identify all SLF life stages including egg masses and watch for them when doing initial surveys of properties. · If Ailanthus is on the property, monitor current conditions and note if SLF is present. Recommend herbicide treatments of all female Ailanthus trees. · If SLF or egg masses are identified, and the county is not currently quarantined, consider yourself a mandatory reporter to the PA Department of Agriculture. · Inform property owners of the presence of SLF and suggest options to minimize the spread of SLF, as well as treatment methods to eradicate SLF on the property. Refer to the Spotted Lanternfly IPM Management Calendar for treatment protocols. · Always be prepared by carrying egg mass scrapers (the size of a credit card) and train all staff to identify and destroy egg masses during the months of October – April. · Be vigilant for signs of SLF on Ailanthus, Walnut, Maple, and Apple trees. Egg masses are also likely to be on young Black Birch and young Black Cherry. Asian Longhorned Beetle will also most likely be on Maple, Poplar, Ash among others. · Monitor forest for signs of SLF in or near orchards, vineyards, or near fields where hops are grown. · If SLF is found, then recommend harvesting during December to March when egg masses can be clearly identified and removed from every log. All sides of the log must be examined and may not move out of the quarantine zone without proper certification from PA Department of Agriculture. · Park in areas away from the tree line if possible and always leave windows up. Kill any SLF that you find in your vehicle before leaving the area. · Before bidding on properties survey for signs of SLF. If found, determine what level engagement you will support to be sure that you do not move SLF. · Compliance agreements are required for all forest product companies working in a quarantine zone. · You must notify the Department of Agriculture Regional Bureau of Plant Industry Supervisor four weeks in advance regarding any harvest in the quarantine zone. · Compliance forms must be signed by your company and all actions must be followed in the compliance agreements. Make sure the paperwork has the proper stamp and is present on site and with those transporting the logs. · If the forest land has high populations of SLF do not harvest during July – November when SLF adults are active. · If egg masses are found on the property, every log must be inspected prior to moving the log off the property. Every log should also be inspected on all four sides at the receiving log yard as a secondary defense. If found, the egg masses must be manually destroyed. Do not assume the log de-barkers will kill all egg masses. If egg masses are moved to sawmills, the potential that the sawmill will become infested in subsequent summers is high and could significantly impact the sawmill economically. · Follow BMPs for foresters in addition to BMPs for Loggers. · Offer to remove or cut all female Ailanthus trees on the property only after they have been treated with a herbicide for a minimum of 30 days. · During the months of July-December, equipment and vehicles must be monitored for adults which might fall into crevices and move out of the area. Look before you leave. This is imperative action before moving to a new site. · Windows of vehicles should remain closed while parked in the quarantine zones. Dave is a Regional Forest Resources Educator for Penn State Extension out of Centre County. He can be contacted by e-mailing drj11@psu.edu.